The rock band from Macclesfield, The Virginmarys, are performing in their hometown for Macclesfield Festival. The festival is taking place on July 21st, 2018 at Macclesfield Rugby Club. The Virginmarys will be performing at the festival alongside other incredible artists such as Happy Mondays, Tom Hingley & The Karpets and Shola Ama. The full line up can be found here. The band used to be a trio, however, are now a duo. They are a rock band that formed in 2009. They have five singles, two studio albums and five EP’s and mini albums. VIVA exclusively spoke to Danny, drummer of the band, about their upcoming tour, the bands best bits and of course what to expect at Macclesfield Fest – the first time the band have played in Macclesfield for five years. The Virginmarys are a very passionate, fun-loving band. Their fans mean the world to them and creating new music gets them excited. 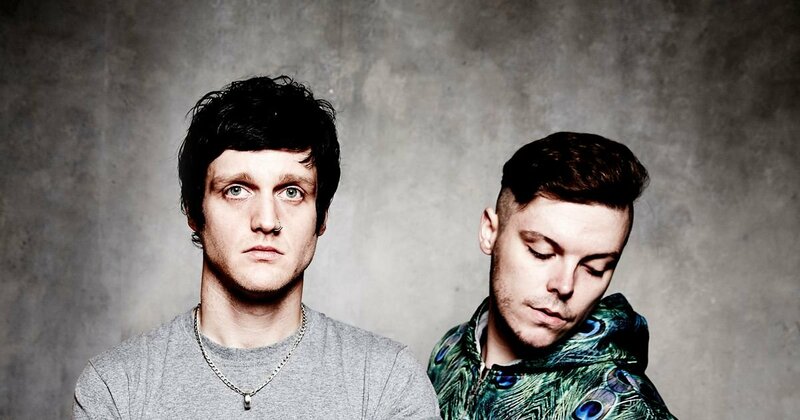 Danny said: “So far there’s nothing else in life I get that same buzz from” creating and playing their own music is very special for him and I’d presume that goes for the duo in general. His musical inspirations came from “a massive mix… stuff my dad used to play.” He is a massive fan of artists such as The Beatles, The Beachboys and Elvis. He used to hate Elvis however he now loves him. He names more artists that you can hear about in the interview down below. I then asked Danny about his favourite tour memories. Danny found it very hard to choose however his answers were very interesting places. “India was amazing. Japan was really cool, surreal”. He told me about how the band received so many gifts and found it amazing to see everyone queuing up to see them play. You could tell how much he appreciated all the fans. He went to Japan in 2013 for their tour to celebrate their release of ‘King of Conflict’. On the topic of touring, I brought up Download Fest. Everyone has heard of Download Fest in the rock scene. Playing Download Fest is massive and it’s an opportunity that The Virginmarys got to do back in 2010. “I wanna play on that stage one day and to finally to do it was so cool” – hearing Danny say this filled me with happiness and almost a sense of being proud. You’re from Macclesfield aren’t you and you’re playing Macclesfield festival? Danny mentioned that the band are going to play some new and old stuff at the fest, however, they want their fans to be able to pick their setlist and want to know what their fans wanna hear. Get tweeting the boys and let them know what to play. Your say is helping the boys create their setlist for their hometown gig, it’s quite special let’s be honest. Tickets for Macclesfield Festival are £27.50 and the festival is taking place on July 21st. They’ll be lots of things to do at the festival and huge amounts of great music to enjoy. Support The Virginmarys and be a part of something special with them.